This work offers a thought-provoking overview of the oil and gas insurance market. 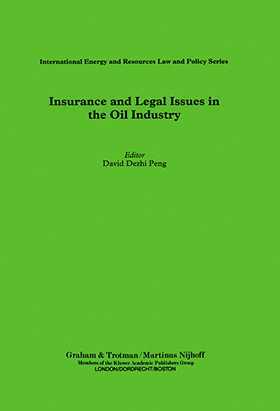 It addresses market credits, how oil and gas insurance products developed and their function, and analyses the types of claims and litigation arising and alternative means of dispute resolution. Relevant EC Directives and their impact on placing oil and gas contracts are examined, as are approaches to mutual indemnities in North Sea Contracts. In the context of the increasing magnitude and sophistication of the international oil and gas industry and the critical role of risk management, this work is an important addition to the literature, written by leading underwriters, brokers, lawyers, insurance managers and loss adjusters from around the world. It is based on work organised by the Centre for Petroleum & Mineral Law & Policy, Dundee University.